We understand that sometimes your travel plans change. We do not charge a change or cancel fee. However, this property (Best Western Cattle City Motor Inn) imposes the following penalty to its customers that we are required to pass on: Cancellations or changes made after 1:00 PM ((GMT+10:00)) on Apr 24, 2019 are subject to a 1 Night Room & Tax penalty. If you fail to check-in for this reservation, or if you cancel or change this reservation after check-in, you may incur penalty charges at the discretion of the property of up to 100% of the booking value. When you stay at Best Western Cattle City Motor Inn in Allenstown, you'll be in the business district, within a 5-minute drive of Tropic of Capricorn Spire Visitor Information Centre and Archer Park Station & Steam Train Museum. 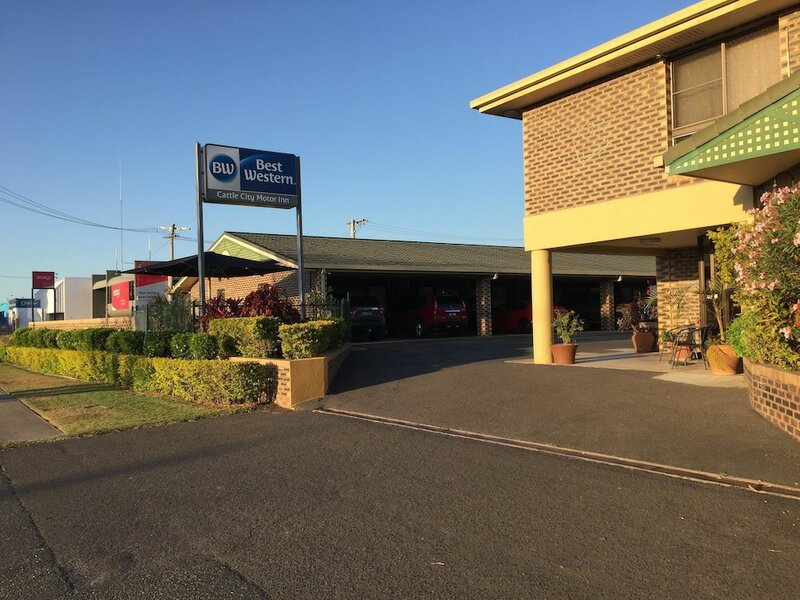 This motel is 1.1 mi (1.8 km) from Rockhampton Botanic Gardens and Zoo and 1.1 mi (1.8 km) from Rockhampton Golf Club. Make yourself at home in one of the 34 individually furnished guestrooms, featuring refrigerators and LED televisions. Satellite programming and iPod docking stations are provided for your entertainment, while complimentary wireless Internet access keeps you connected. Partially open bathrooms with shower/tub combinations feature complimentary toiletries and hair dryers. Conveniences include phones, as well as minibars and coffee/tea makers. Take advantage of recreation opportunities such as an outdoor pool, or other amenities including complimentary wireless Internet access and tour/ticket assistance. Additional features at this motel include barbecue grills and a reception hall. Enjoy local cuisine at Blue Heeler Restaurant, a restaurant which features a bar, or stay in and take advantage of the room service (during limited hours). Full breakfasts are available daily from 6:30 AM to 8:30 AM for a fee. Featured amenities include a business center, dry cleaning/laundry services, and a 24-hour front desk. Planning an event in Allenstown? This motel has 431 square feet (40 square meters) of space consisting of a conference center and a meeting room. Free self parking is available onsite.